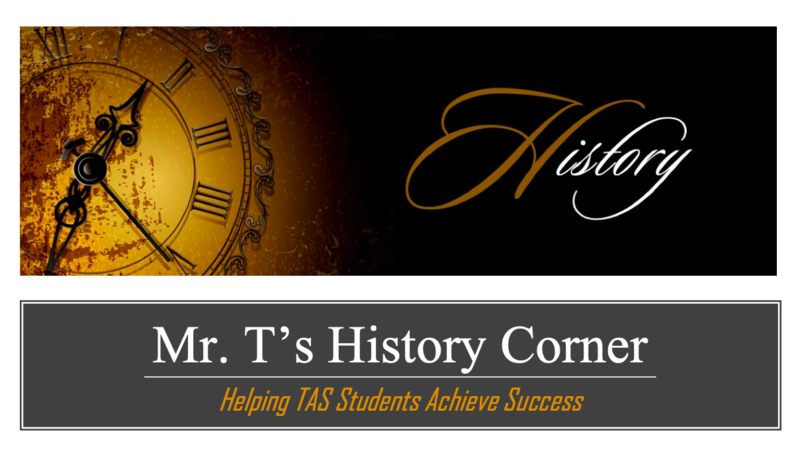 Welcome To Mr. T’s History Corner! I LOVE TEACHING HISTORY, AND I WANT TO INSTILL A LOVE FOR THIS SUBJECT IN ALL OF MY STUDENTS AT TRANSFORMATION ACADEMY OF SHANGHAI. I DEVELOPED THIS SITE TO BE A VALUABLE RESOURCE FOR EACH STUDENT. VISIT HERE OFTEN TO SEE ANNOUNCEMENTS, LECTURE NOTES, POWERPOINT PRESENTATIONS, AND OTHER USEFUL INFORMATION. I REALLY WANT ALL OF YOU TO REACH YOUR POTENTIAL AND BECOME A SUCCESS AT TAS AND IN LIFE. I LOOK FORWARD TO YOUR COMMENTS AND YOUR INPUT AS WE STUDY HISTORY TOGETHER. How Strong Is Your Brain? 2018 Best Universities in the U.S.